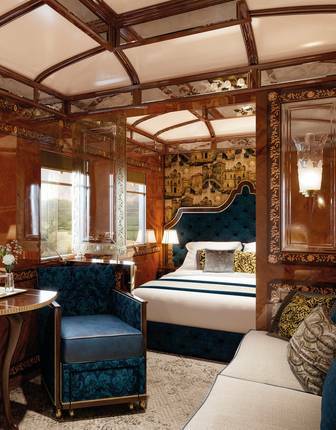 The phrase 'Golden Age of Travel' has long held a nostalgic allure of sorts – and to nothing is it more applicable than the iconic Venice Simplon-Orient-Express in its display of painstakingly-restored train carriages, resplendent in their iconic blue-and-gold hue. 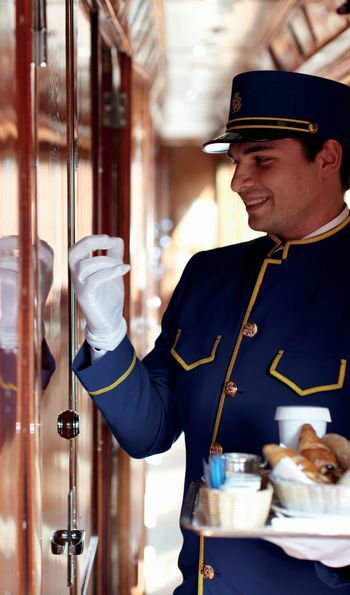 Travelling to the likes of Istanbul's vibrant bazaars, the romantic streets of Paris and, of course, the gondola-studded waterways and historic splendours of Venice, we look at the history of the quintessential luxury rail journey as it celebrates the 135th anniversary of its inaugural journey from Paris to Istanbul. It all began in 1864, when creative railway constructor George Mortimer Pullman built a train of rolling stock, as it was historically known, that featured never-before-seen, ultra-modern technology and interiors that were more luxurious than in any other mode of transport throughout the rest of Europe. 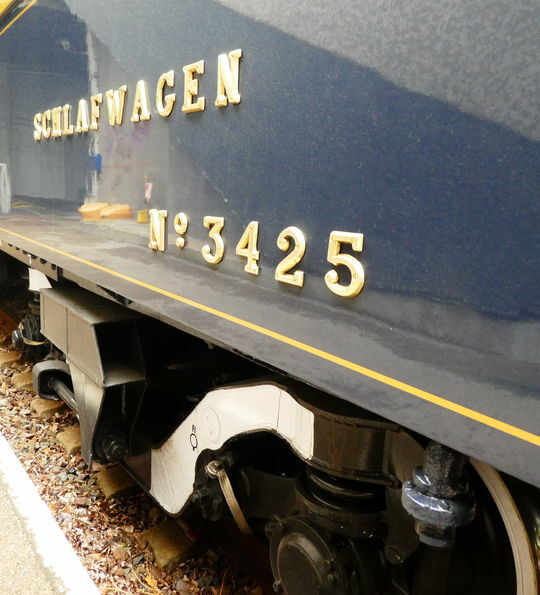 A few years later in the 1870s, Belgian railway entrepreneur George Nagelmackers, inspired by Pullman's carriages, introduced revolutionary sleeping train cars and onboard meals to his new train business – a true novelty. In 1881, what was one day to be the Venice Simplon-Orient-Express began its construction, as Nagelmackers began building luxurious rolling stock – which he named the Express d'Orient. Two years later it was ready, and, on 4 October 1883, the excitement was palpable for the lucky guests who had a place on the train's iconic maiden journey. On October 4, 1883, the Express d'Orient left Paris for Istanbul, running from the French capital to Giurgiu in Romania via Munich and Vienna. At Giugi, passengers took a ferry across the Danube to Ruse in Bulgaria for another train to Varna, finally completing the journey to arrive in Constantinople (otherwise known as Istanbul) by ferry. Eight years later, the train was officially renamed The Orient Express. 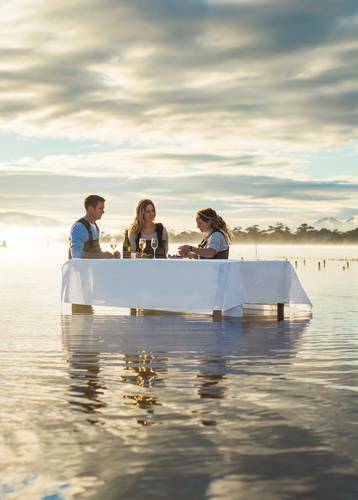 A seemingly simple moniker, but one that would forever kindle a sense of intrigue, glamour and romance, providing the inspiration for many a novel. 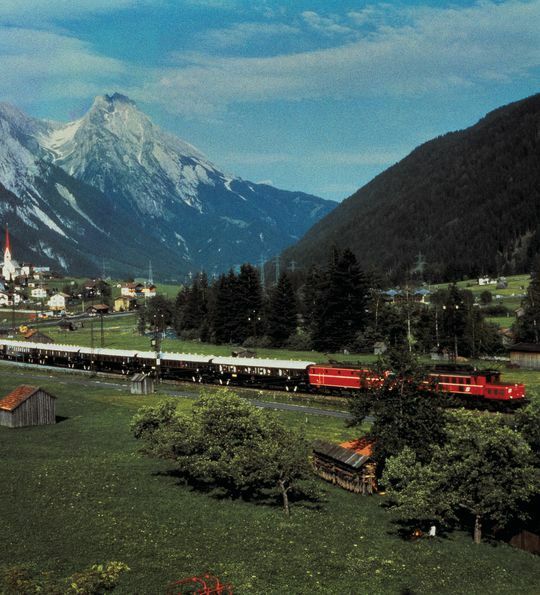 The carriages were completely unique; they were the first to feature sleeping carriages and restaurant cars offering gourmet meals and fine wines, and, when the the Simplon Tunnel was completed in 1906, the allure increased tenfold. It was, at the time, the longest tunnel that connected Switzerland to Italy under the Alps, dramatically reducing the travelling time between Paris and Venice. 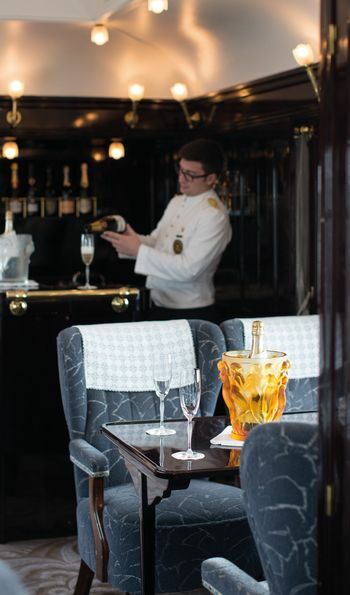 The roaring 1920s – and the heyday of the Orient Express – is when the train began its dazzling journey to run all the way to Istanbul, enjoyed alongside champagne indulgences in the convivial bar cart and exquisite dining by only the most glamorous of socialites. The end of World War II, however, ended the desire for such decadent journeys, and The Orient Express was to conduct its last trip in 1977 – the convenience and value of other travel modes taking, ostensibly, a clear precedence for those who wanted to cross Europe simply and swiftly. However, the carriages were auctioned the same year in Monte Carlo, bought by rail enthusiast and millionaire entrepreneur, James B Sherwood. 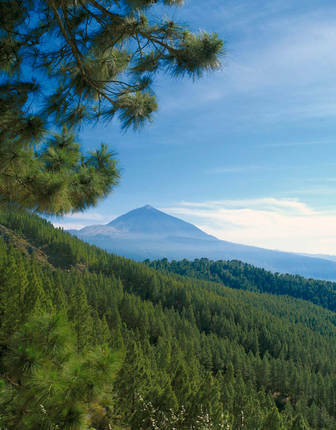 After Sherwood spent millions meticulously restoring the carts to their exquisite former glory, each evoking a sense of history borne from its magical journeys through Europe, the train was reborn. And, on the 25 May, 1982, it embarked on its maiden journey from London to Venice under its, now iconic, name, that still evokes magic, intrigue, and pure sophistication to this day – the Venice Simplon-Orient-Express. 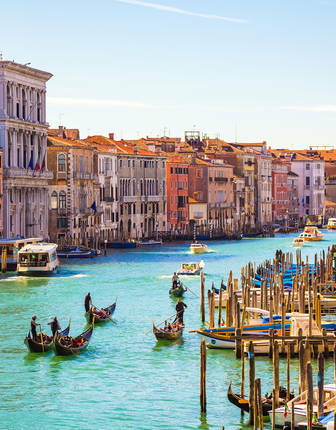 Now, there's chances to head to spectacular Venice on the iconic journey itself, or discover the magic of Istanbul as you travel in luxury from London. 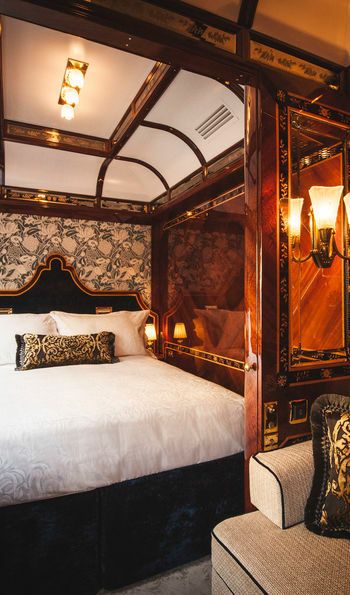 Between indulgent fine dining, champagne receptions and private city tours, this elegant journey pairs the ultimate in luxury rail travel with a palace stay in the heart of ancient Venice. 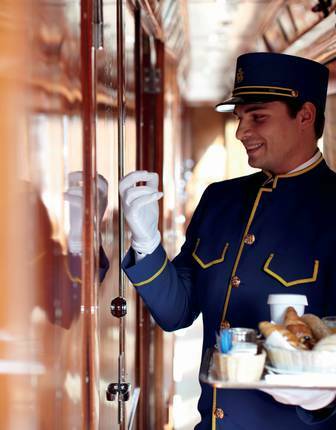 From free-flowing champagne to complimentary caviar, experience the ultimate in luxury rail travel with the butler-served indulgences of the new Venice Simplon-Orient-Express Grand Suites. 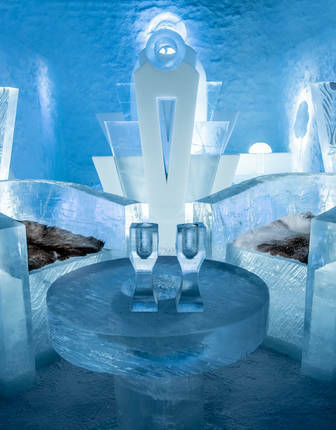 A counterpoint to the classic London-Venice route, this journey aboard the Venice Simplon-Orient-Express starts among the exquisite architecture of Italy's floating city before the traversing the high passes of the Austrian Alps.